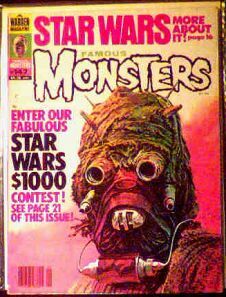 September 1978 issue of FM with a Basil Gogos cover from Star Wars. Near mint condition. Basil Gogos did many popular FM covers, specializing in, of course, monsters. Website design and hosting by Sohodojo Business Services. Item 124 of 466 items displayed in viewer. 0 items in cart.